If Google brought you here, you’ve likely searched high and low for a solution to the missing Stereo Mix in Windows 7. 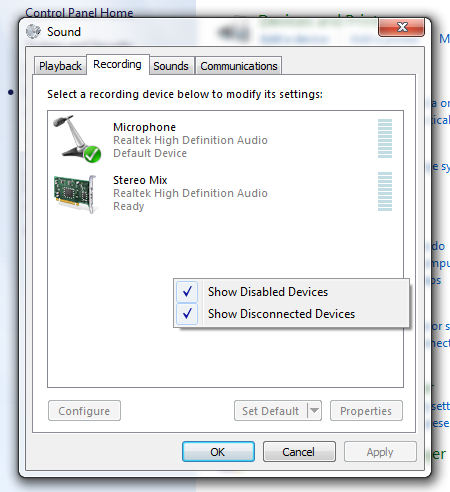 Trying to record streaming audio in a program like Audacity or Soundforge, but your Stereo Mix option is unavailable. What? 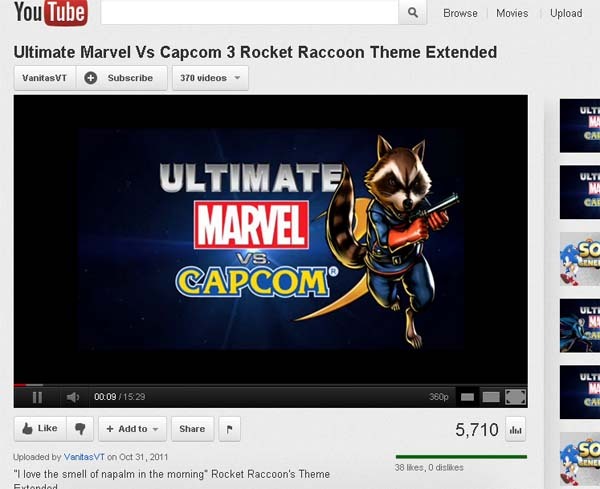 It'd make a good ringtone! 1. Assume Stereo Mix is there, just disabled. Re-enable it. - Right-click > Show Disabled Devices. If this shows up for you, Yay! You're done! Otherwise soldier on. 2. If you have on-board audio, nab your latest motherboard drivers. Otherwise get your most up to date sound card drivers. 1. Go buy one of these at the Source or your local tech shop. Patch it from your audio out into your line in on your sound card. By the time I reach the car, I've already stopped caring about what I was trying to record. To me getting up, going out and buying something to solve this seems like the nuclear option. 2. 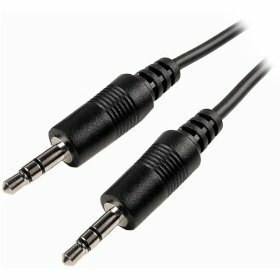 Download Virtual Audio Cable. Which virtually emulates the above solution. Give the trial a shot, see if it works for you. The trial has an incredibly obnoxious 30 second purchase reminder. 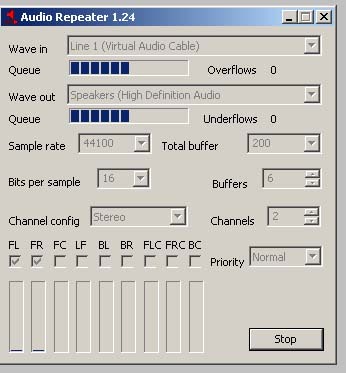 Despite that, VAC is a really solid piece of software with applications beyond what we’re doing here (isolating specific audio streams on your PC, to either capture or rebroadcast). You’ll want to get the latest version of VAC, currently 4.10. Installation is a breeze. Once you’re done, check your Sound playback devices, you’ll notice VAC has created a new device for you. Right click Line 1 and make it the new default device. This is now the input we will select in our recording program. Now from here, we can play our streaming media, select Line 1 in our recording program and record, no problem. However you won’t be able to hear any of the media your playing since any audio being played is being sent to Line1 instead of your speakers. So if you’re only trying to nab a sound bite from a movie or if you’re trying to record voice communication you’ll need to follow a few more steps. 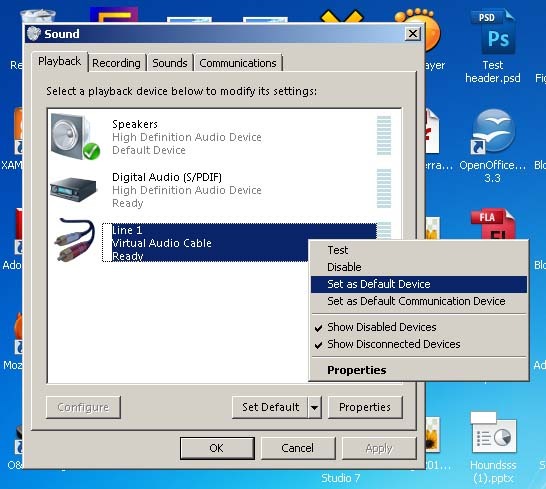 If you pop open the Virtual Audio Cable folder in your start menu you’ll see Audio Repeater (KS) and Audio Repeater (MME). We could use either of these applications to duplicate the audio being sent to Line 1 and send it to our speakers. The KS Repeater usually interferes with audio recording programs, so we’ll be using MME. Compared to KS, MME has a bit of delay. To compensate for this we can tweak it’s settings a little. This how I set up my MME repeater for the least amount of delay without any substantial quality loss. Just remember the sound you’re hearing through your headphones using MME is a rough sounding duplicate, and doesn’t reflect the quality of your recording. When you’re all done streaming, just switch your main playback device to your speakers and you’re all done. Hopefully this was of help to you as there are so many useless hits for “Windows 7 missing Stereo Mix”. You can check out the original post which lead me to VAC here. It contains a few youtube videos on how to set up VAC.